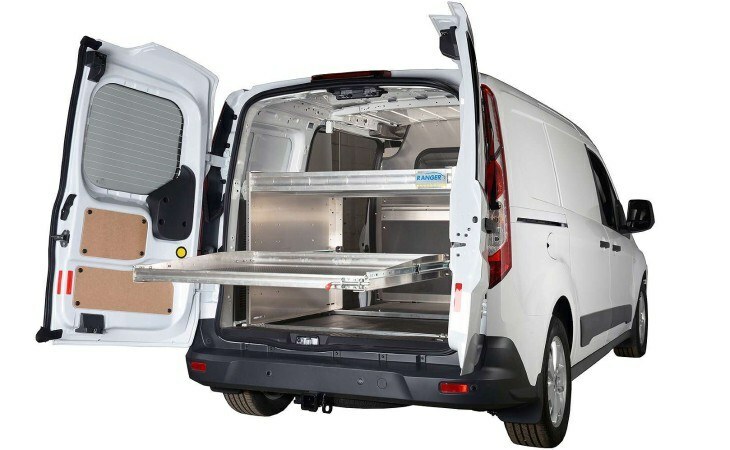 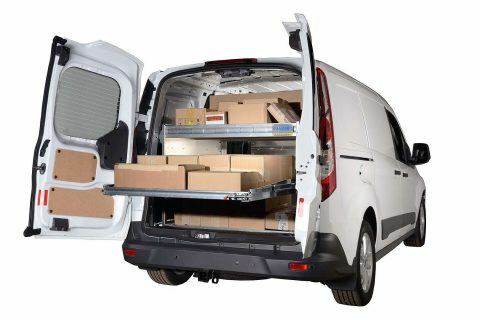 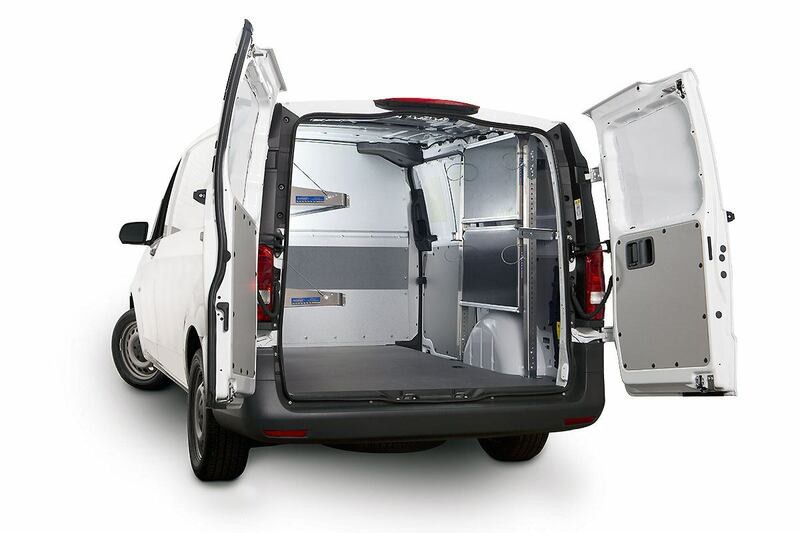 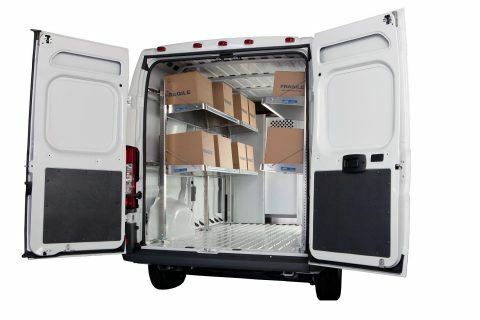 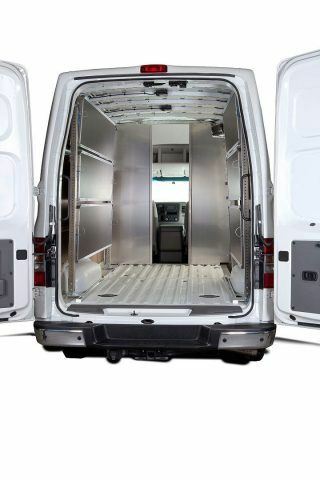 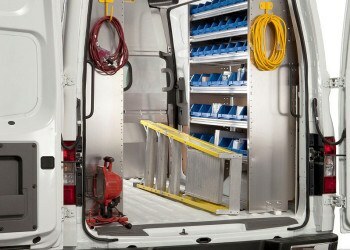 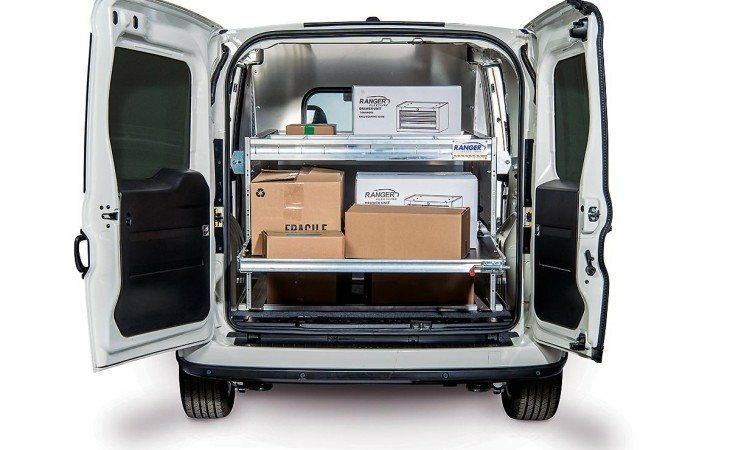 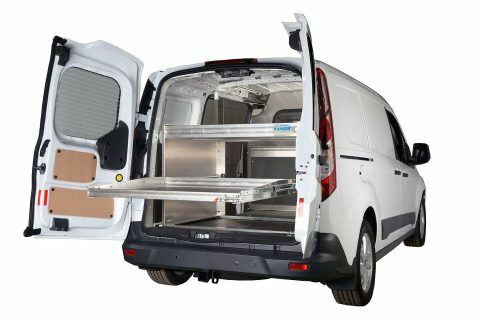 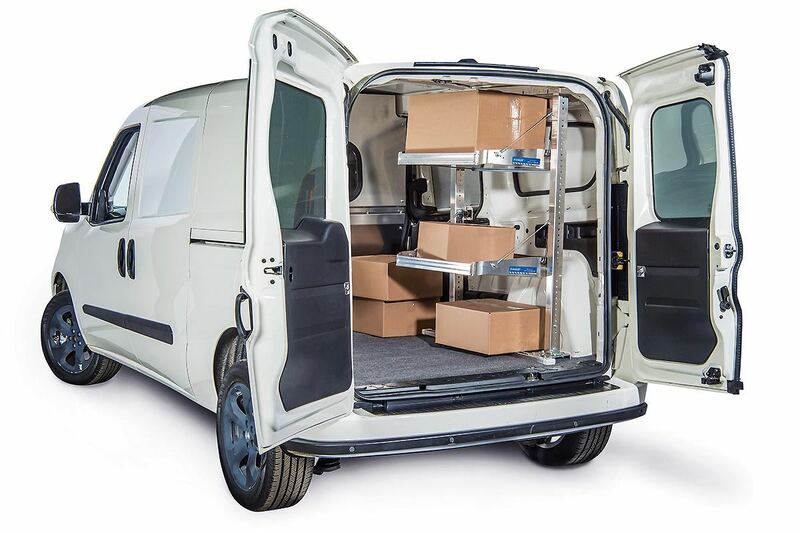 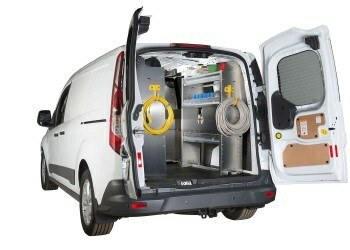 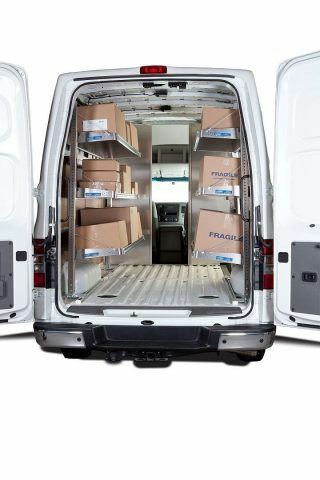 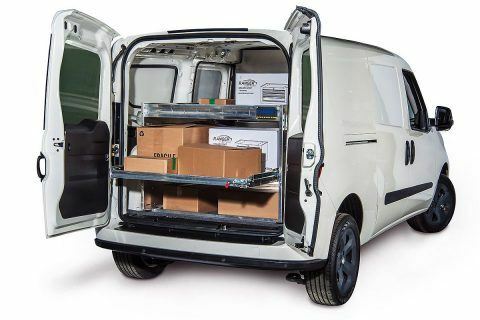 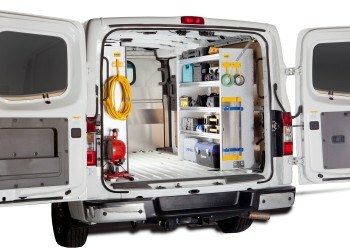 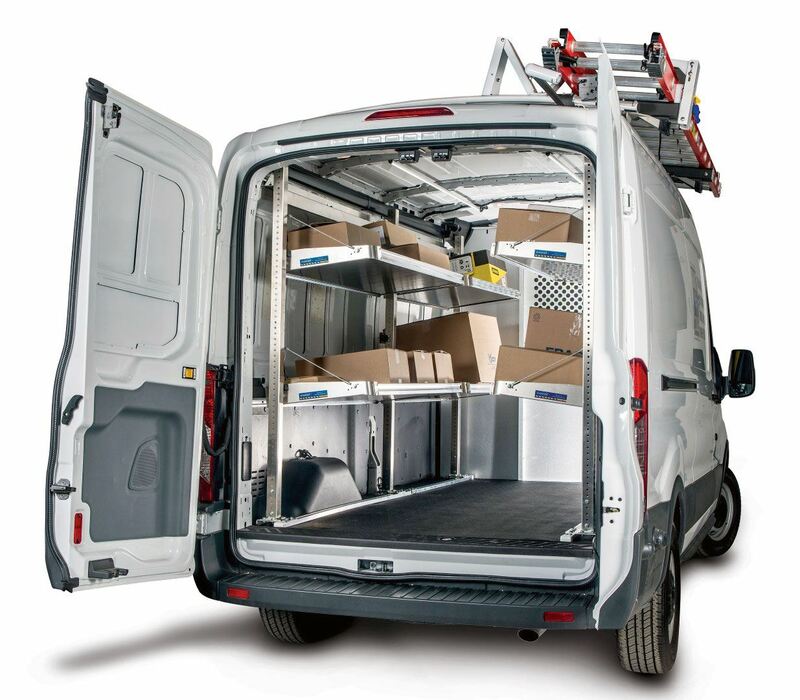 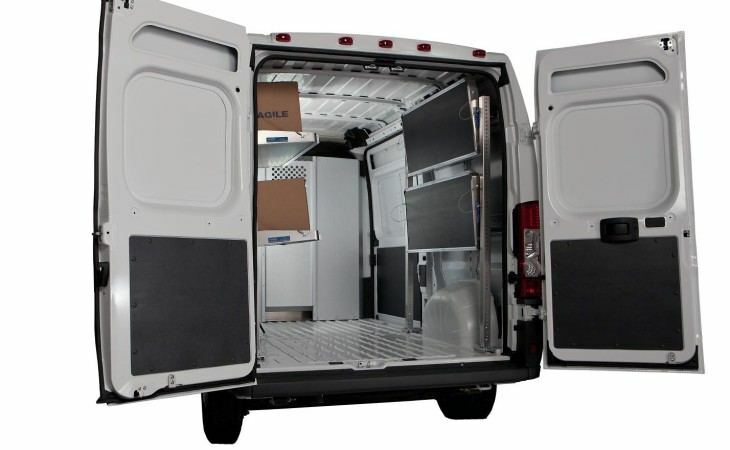 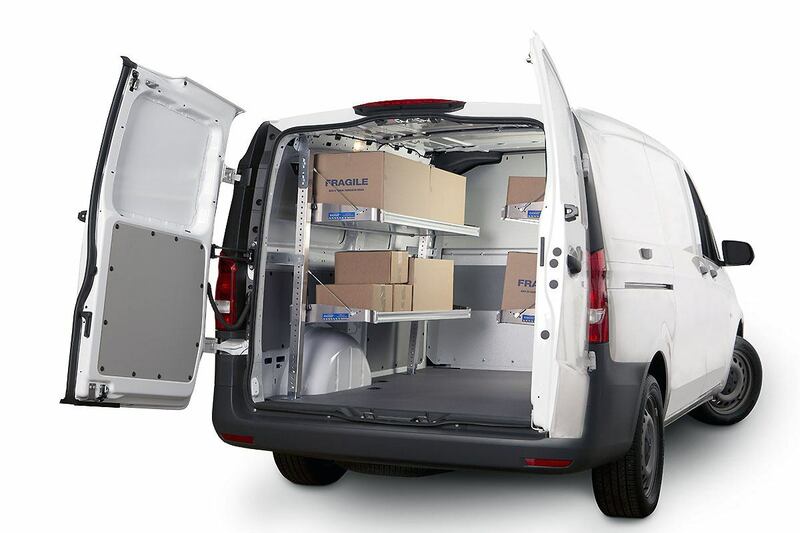 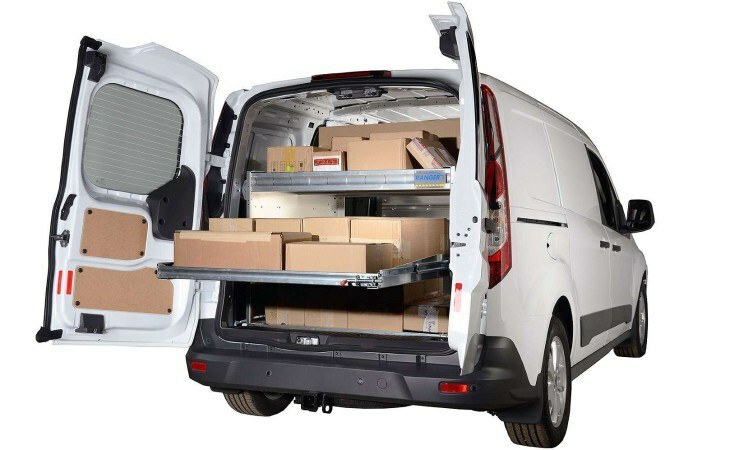 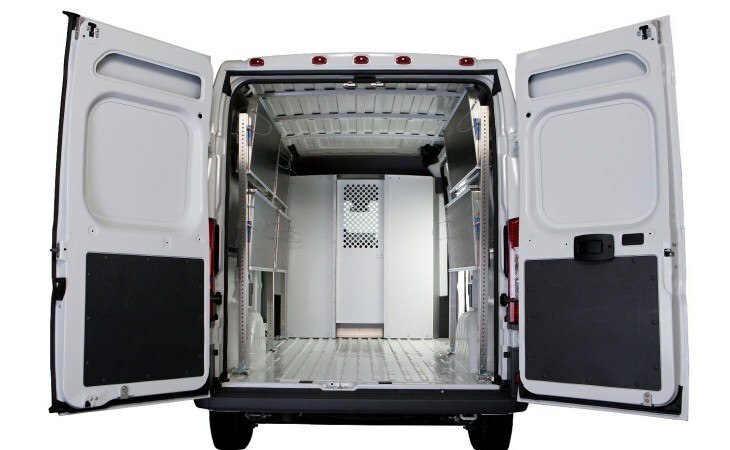 Ranger Design’s versatile Fold-Away foldable van shelving optimizes space in the cargo area and increases productivity. 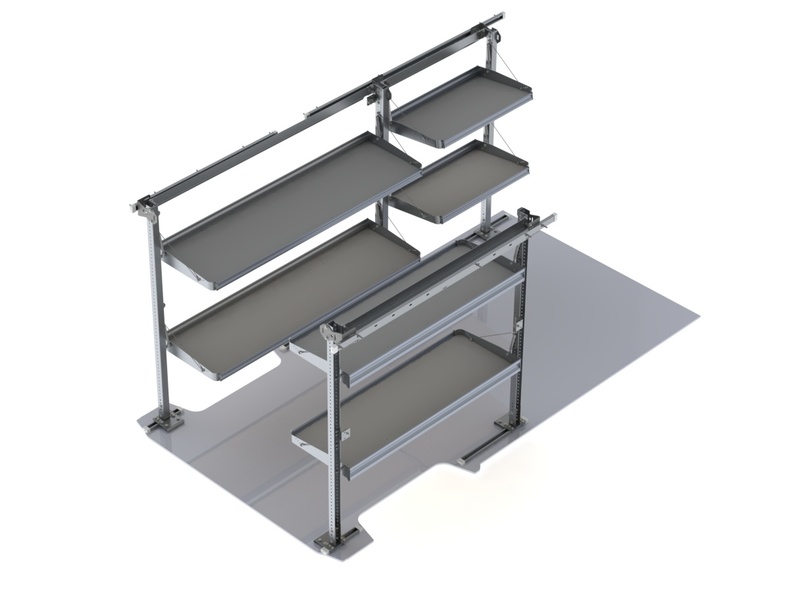 Perfect for a delivery van, this foldable shelving can carry up to 65lbs of static load per linear foot. Gas shocks make shelves easy to fold away when they are not in use. 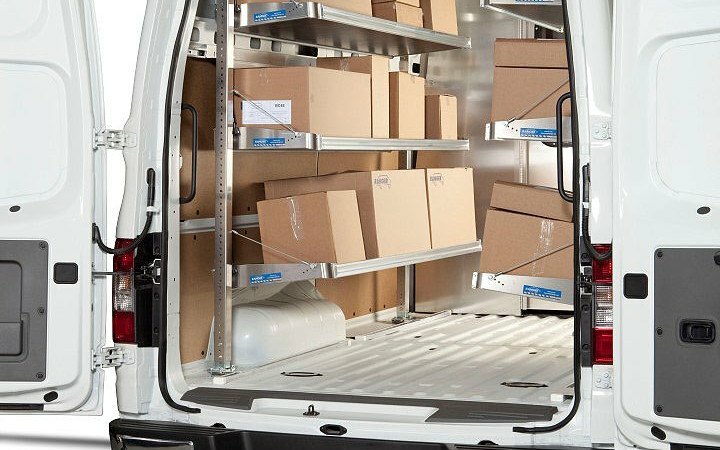 The Ranger Design Axesstray sliding van shelves are a great use of space and allow for easy access to all your stored goods and accessories. 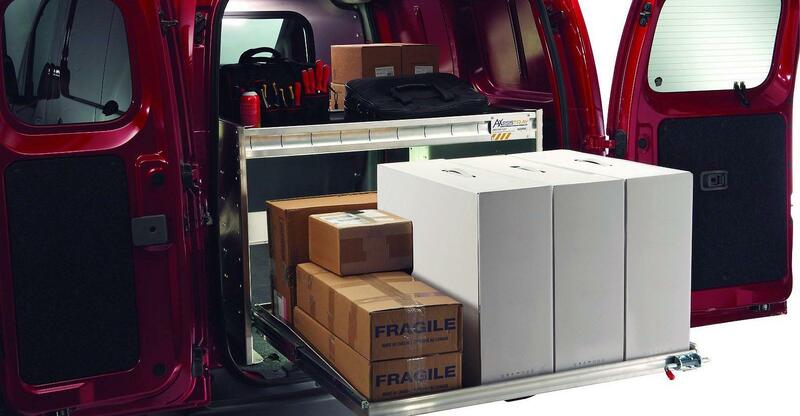 Axesstray is the safe way to access boxes in your delivery van. 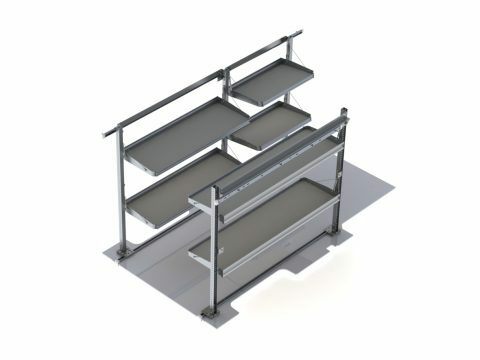 If either of these do not suit your needs call or visit one of our 6 stores to create the perfect set-up for you!